We’d love your help. 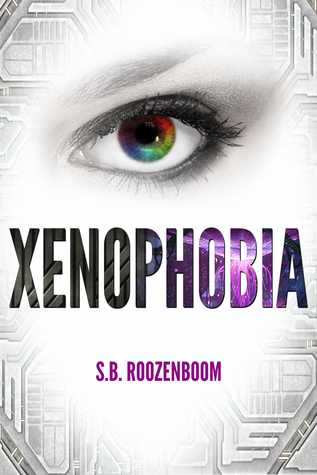 Let us know what’s wrong with this preview of Xenophobia by S.B. Roozenboom. It's been two centuries since the Telumiras arrived and settled on Earth, changing everything —including the genetic makeup of humans. Living in the section of land occupied by her own species, Ness Kimler tries to be a normal teenager, worrying about her career and finding a mate—questions to be answered at her upcoming graduation. But before that happens, Ness accidentall It's been two centuries since the Telumiras arrived and settled on Earth, changing everything —including the genetic makeup of humans. But before that happens, Ness accidentally crosses the Great Fence separating humans and Telumiras. For 200 years, the barrier has been in place, preserving the peace on a planet divided between two species. What she finds is that the Fence isn't just about keeping the aliens in—it's about keeping the humans out. To ask other readers questions about Xenophobia, please sign up. Xenophobia quickly pulled me in and before I knew it, l was completely addicted to this story. In that first chapter alone, I already felt connected to our heroine, Ness. Her voice was honest, captivating and watching her struggle had me curious where this book was headed. You see, Ness was a little bit different then her peers. Ever since the aliens came, humans changed. They have cryptosyms on their skin, which are markings that are meant to help you find the best possible path in your life. They tell you what career, mate, number of children etc, would be the best fit for you. Yet Ness' markings aren't easily deciphered like her classmates, and I was more than intrigued to find out why. Enormous, twisting trees towered behind the Fence, evidence of them . Evidence that humans were no longer the only dominant species. Earth was no longer our world. The aliens now called it home, too. The world that was described, and the lifestyle that Ness lived, was fascinating and so unique to me. I loved being in this world! We slowly got immersed while following Ness throughout the day. Which sounds simple enough, until she arrives at home. She lives with her Aunt, and because of what they can afford, they live closest to the border of where the humans and aliens are separated from one another. Personally, I'd be terrified to live so close to the border because of the descriptions of the some of the creatures that sneak into the human side *shudders*. But living in that close proximity is about to completely flip Ness' life upside down. Oh my God, oh my God, oh my God. I lowered myself closer to the dirt, but even the surrounding foliage couldn’t hide all of me. It eyes stopped on my silver boots sticking out, tracing them up to my dress, my arms. Everything that happens, leads Ness to meeting Tevire. And let me hang my head in shame because I didn't know if I could fall for him in the first few seconds we met him. Yes he's an alien, and although he looks awfully human, he has many characteristics that make him different. His speech, hair, eyes, nose and the shocker for me was that he even had a tail. But you know what? Tevire slowly seeped into my heart and I found myself completely falling for him. Watching him interact with Ness showed who he truly was. He was selfless. He was protective. He had a sense of humor. He was so many amazing things wrapped up into one beautiful being. But my favorite aspect about him? The things Tevire did to protect Ness was gut wrenching, sweaty palm inducing and entirely swoon worthy. No one has ever had this kind of chance. Although Ness and Tevire had a rocky start, I loved how they slowly but steadily morphed into a true friendship. It was such a natural progression. But the more they spent around one another, the chemistry between them seemed to grow hotter and hotter. It got to the point where I wanted to beg them to act on it. I guess you'll just have to see what happens, since I don't want to say anything other than they were so much fun to watch. Xenophobia is truly a hidden gem! There is so much more that I want to talk about, especially with how the story progresses. But this is one of those books where you're going to want to discover this world by yourself. Xenophobia was such a fun, unique read and I can't wait to see where this series goes. I will definitely be picking up this authors other books! I would like to extremely thank S. B. Roozenboom , the author, for kindly providing me with a free copy or ARC of this book in exchange for an honest review. This book pulled me in right from the start , gripping me with its s I would like to extremely thank S. B. Roozenboom , the author, for kindly providing me with a free copy or ARC of this book in exchange for an honest review. 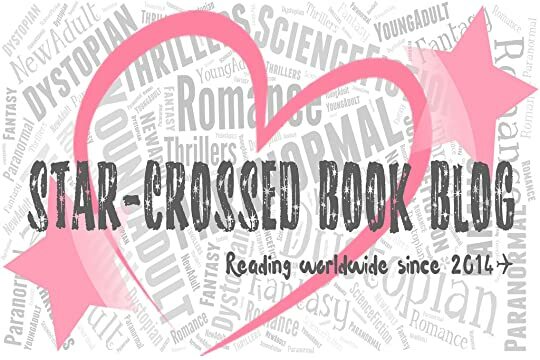 This book pulled me in right from the start , gripping me with its story , making me fall in love with the description and the plot, relating me with the characters and introducing me to new aliens I never would have thought I'd love to meet! It had nice action scenes although I would have loved more , I will admit these aliens can kickass and the whatever little romance was there and everything leading to it, be it pain or some action, in the book was satisfying.This book had the right pace and even though the idea is not something entirely new , I loved the way she represented it. Right from chapter one , I could relate to Nessora or Ness as she likes being called..her struggle to face everything and her strength to face something.She had the kind of cryptocysms (view spoiler)[(something like a permanent tattoo , only they help you find your perfect soulmate aka They tell you what career, mate, number of children you will have ) (hide spoiler)] that nobody had nor it was mentioned anywhere in the Book of Brie where every cryptocysm ever created were recorded. She lives with her aunt who by the way has adopted her from her mother who couldn't afford to upbring her then.She lives in dusty trailer like house near the fence, the very fence that separates humans and the aliens that have arrived.They can live peacefully during the day but night time can be frightening as they fear some alien might have crossed the fence and was probably waiting for them to eat them. "Enormous, twisting trees towered behind the Fence, evidence of them . Evidence that humans were no longer the only dominant species. Earth was no longer our world. The aliens now called it home, too." One day Ness took out her dog out to walk but the dog started acting funny and went inside the woods, the very woods people were afraid to enter in case they confronted the aliens.She enters inside bravely to search for her dog.Later she happens to find the dog but she stumbles upon something she shouldn't have. "Oh my God, oh my God, oh my God. I lowered myself closer to the dirt, but even the surrounding foliage couldn’t hide all of me. And from here on our story continues to how she and alien cross each others lives, all the events that happened while Ness accidentally crosses the fence,finds the very alien she saw , her troubles while she stays there, her attempt to reach back to the human side and accidentally stumbling upon something she shouldn't have ultimately leaving to a FRIGGIN' CLIFFHANGER. I absolutely loved the way how and why the aliens had arrived on earth , the different kinds , their habitats and traits , their flora and fauna. My love for the giant moth is absolute for even HARRY POTTER could not possible have fun on the back of Buckbeak as much as Ness and Tevire had on Qoma. The characters are simple , relatable and showed nice reactions. Even the sadder scenes were shown properly. Ness , our protagonist is captivating , head strong , funny ,quirky , kind and compassionate. Tevire , our alien friend is masculine, extremely handsome, quite tall, brave, funny , careful and thoughtful ,and well features that resemble both human and alien. I will leave it at these two characters for description , while others are tad bit interesting too. And oh god aliens..I can't even bring myself to describe them! Some are tiny , some are giants, some are dangerous af while some are kind af, you need to see for yourself as to how the author has described everything about them and around them! Xenophobia is truly a hidden gem! I honestly would actually recommend it to anyone who was even 0.00001 % interested to read this and see for yourself this wonderful book. I honestly can't wait for Part 2 of the series! Xenophobia is set about 200 years into the future and is a complete different way of life than now. Aliens have come to earth and there was wars, but after that, aliens and humans came to a sort of a treaty where they would stay on their side and humans would stay on their side of the fence. In this time, when humans were born, they'd grow and would show marks on their bodies that would tell them about their futures. Their graduations involved being matched up to their mate who had the exact patterns as them. Nessora reminded me a lot of when I was a teenager. Smart mouthed and not afraid to speak it how it is. Nessora couldn't figure out the marks on her body because they didn't match anything in the books they had about the marks. She was afraid of the aliens as she was attacked by one as a small child and kept to herself most of the time. One day, her dog ran into the trees and forced Nessora to go after him, despite her being scared of what laid in those trees. When she came to her dog, she found an alien boy, a Telemira, who was stuck in a trap and hurt. Going against her better judgment, nessora cut the alien free and took him back to her house to tend to his wounds. They spent a few days together in the house, until he was healed, and he left when Nessora was at school. Nessora didn't think she'd see him again. Until one day when Nessora's "uncle" had gotten drunk and came after her, Nessora was forced to run into the trees and climb the fence that separated the humans from the aliens. The telemira boy saved her from the fence and took her to his treehouse. Kept hidden and away from the other aliens, Nessora soon came to find that her markings matched the telemira boy exactly. She had found her mate. After an encounter with a huge alien spider, The boy became hurt and Nessora thought the only way to save him and for him to live was to take him to her side of the fence to be treated. Shot out of the sky, Nessora woke up in a facility where she found out she was part alien and had a brother. Of course, I left a lot out of this but I really did like this book. There were still a lot of questions left open in this book and were never answered. And the ending was left open letting me believe there will be other books behind this. The synopsis of the book didn't really let you believe there would be a sequel but I'm thinking there will be. I have so many questions. Did anyone other than Uncle Carl know about Nessora's alien DNA? Why did Shakespeare not tell her she was her mother? How did Shakespeare seem to be out in plain view and no one from Control came and got her back? And what about the woman who called herself her mother? This book gripped me and kept me page turning when I should have been in bed. I'm looking forward to other books, if there will be any and hope the author will keep us updated on this status. Normally I won't read a series until it's finished because I hate waiting so this will be suspenseful to me lol.